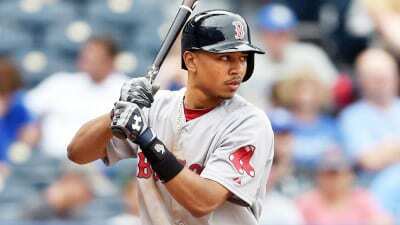 NASHVILLE, TN — Former Overton High School star Mookie Betts has been on tear this season for the Boston Red Sox. After his second straight All Star appearance, he is leading his team in home runs (17) runs batted in (56), hits (103) and walks (44). On July 9th, he became the career leader in leadoff home runs in Red Sox history when he hit his 11th against the Tampa Bay Rays. Betts has become an important piece to the Red Sox championship hopes. With the retirement of David Ortiz, Boston fans were in search of a new hero. Ortiz’s departure left some big shoes to be filled. While Betts is trying his best to do things on the field to keep the Red Sox afloat, he realizes one man can’t do it all.